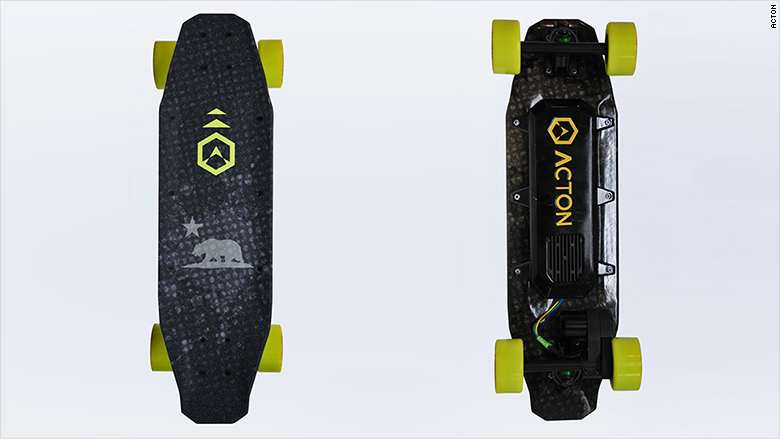 Like other electric skateboards, the Acton Blink is controlled with a handheld remote. The Blink weighs nine pounds, can roll up to 12 miles per hour, and travel about 6 miles before it needs to be recharged. There are different speed settings for beginner and advanced riders.